Free Pai Gow Poker games are those games that can be played absolutely free without involvement of any real money at online casinos. 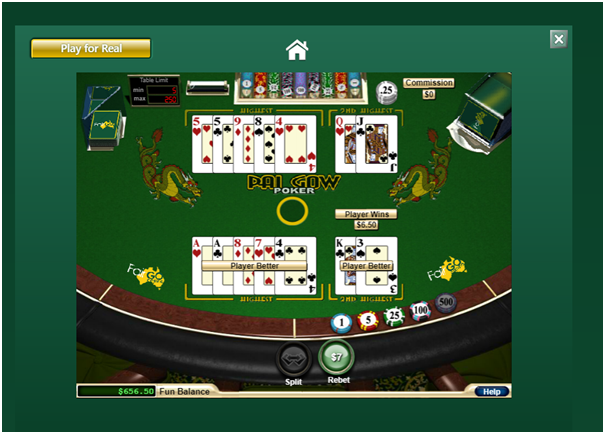 Most of the online casinos offer free table games and free video poker games to enjoy including Pai Gow and its variants. These games are powered by top rated gaming software providers like Microgamimg, Rival, RTB or Playtech and can be found in the games menu or lobby at online casino. Why to play Free Pai Gow Poker Games? Also you are able to judge about the online casino specially their help support staff and their prompt or late customer care response. You needn’t register yourself first to play at the casino (few casinos but ask) and thus are free from hassles of filling the short form, verifying your details and other such formalities but straight away enter the casino lobby and choose to play free without real money deposit. When you have a good understanding of the basics of pai gow poker by playing free, you can then utilize the pai gow poker odds and pai gow poker to play real money game of pai gow poker. How to play Pai Gow Poker for free? 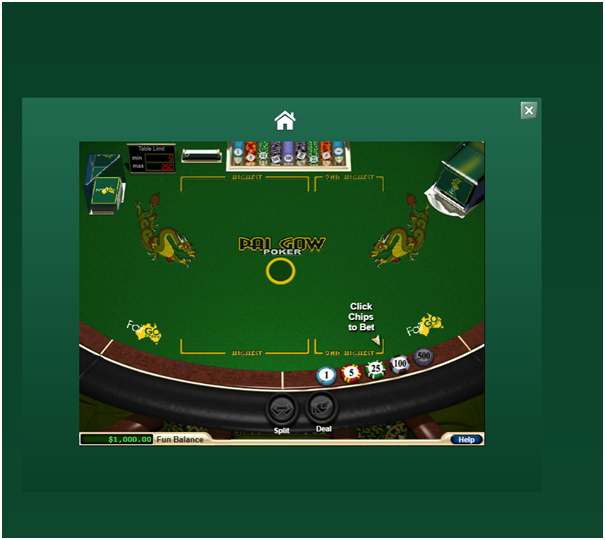 First visit any online casino that offers Pai Gow Poker online for free. 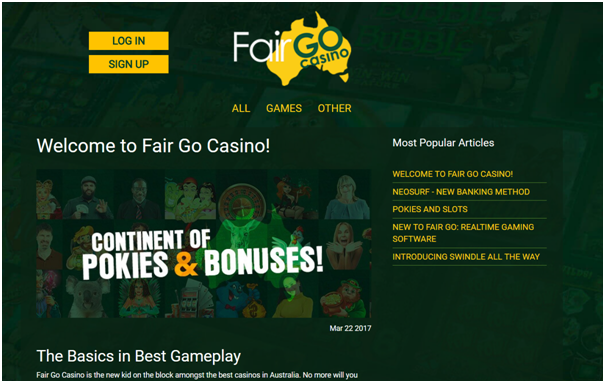 Like here we take the example of Fair Go Casino. Now you enter the casino with your mobile, PC or Tablet by just typing the URL of the Casino on your mobile or web browser be it Chrome, Safari or any other Mac PC browser. 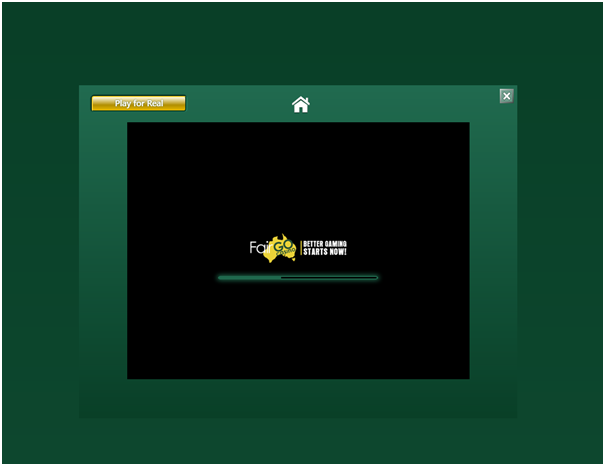 So we typed https://www.fairgocasino.com on our PC browser. 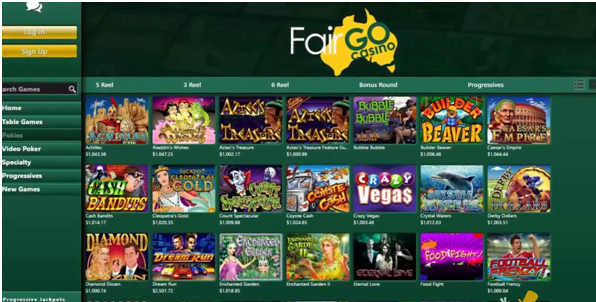 Now click on games tab at the home page and you will enter the games section of the Fair Go Casino. You will get this page when you click on games. 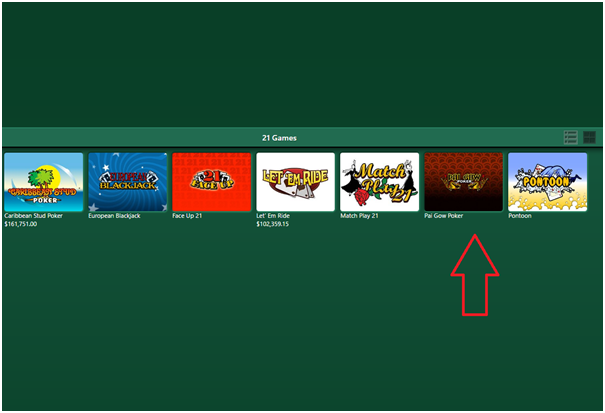 On the left side you can see the option to search the game by typing the name of the game in the search box. Also find listed the types of games each covering different sections of games like Table games, pokies, Video poker, speciality, Progressives and new games. You now click on table games. 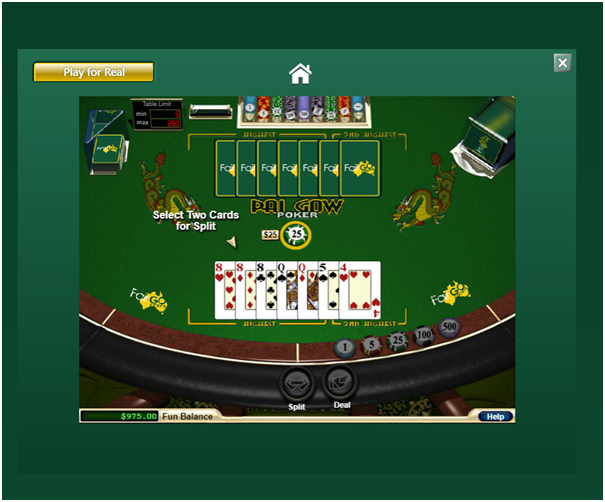 The table games screen or page will open and you will see various table games on offer by this casino. 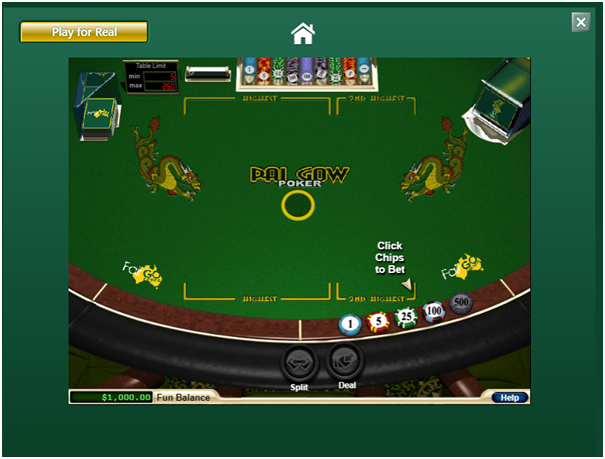 Now see Pai Gow Poker game logo and click on the game. 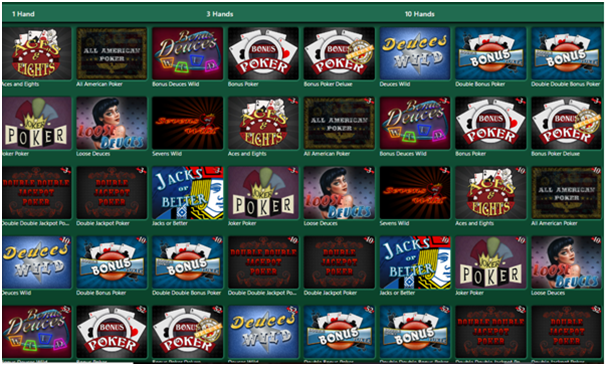 When you click on Pai Gow Poker another screen will open and your game will start loading to be played all free. When the game is fully loaded you are ready to play the game all free. Now you see it says click chips to bet on the above image. Below that you see the chios of $1- $500 to bet in the game of Pai Gow. Click on the free amount you wish to stake and click on deal ( the button given below the game screen). Now progress the game and follow the prompts on the game screen. Your wins will automatically be added to your credit fun balance that you can see right below on the left side of your game screen. When you are enough with free Pai Gow Poker you can choose to play for real money by just clicking on the play for real button given on the game screen at top left corner. But that is your choice. Playing Pai Gow for free is simple right. Now visit the choice of your online casino and begin the show.